Derry City and St Patrick's Athletic meet on Sunday in the FAI Cup final and managers Stephen Kenny and John McDonnell have selection problems to solve. 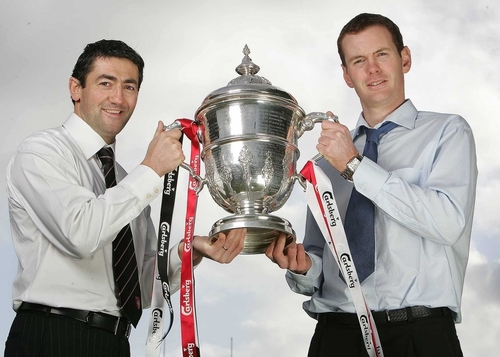 Watch Derry City v St Pat's Athletic on Sunday, 3 December live on www.rte.ie and RTÉ Two. KO: 3.15pm. FAI Carlsberg Cup favourites Derry City are without suspended midfielder Ciaran Martyn meaning Ruaidhri Higgins is likely to partner Barry Molloy in central midfield. Stephen Kenny, returning from Dunfermline for his Derry swan song, also has selection decisions to make at central defence, left-back and in who plays in the wide midfield positions. Fit again Darren Kelly is likely to get the nod ahead of Clive Delaney and Ken Oman to start alongside Peter Hutton in the heart of defence. Sean Hargan should also start at left-back leaving Killian Brennan free to move back up to the left side of midfield. Pat McCourt, Kevin Deery and Gareth McGlynn contest the position on the opposite flank. 'This game is all about the players,' said Kenny. 'It would be a fitting reward for this group of footballers following their efforts in all competitions this season if they were to bring the FAI Cup back to Derry." Derry City (probable): Forde; McCallion, Hutton, Kelly, Hargan; McCourt, Molloy, Higgins, Brennan; Beckett, Farren. Stephen Quigley and Stephen Brennan have been passed fully fit and should start at right-back and in central defence respectively for St. Pat’s. Without suspended central defender Darragh Maguire and with midfielder Keith Fahey and striker Mark Rooney being cup-tied, boss John McDonnell has fewer options to play with throughout the rest of his side. Anto Murphy is likely to start on the right side of midfield. Michael Foley returns to partner Dave Mulcahy in the middle with veteran Mark Rutherford, in what will be his eighth final, on the left. 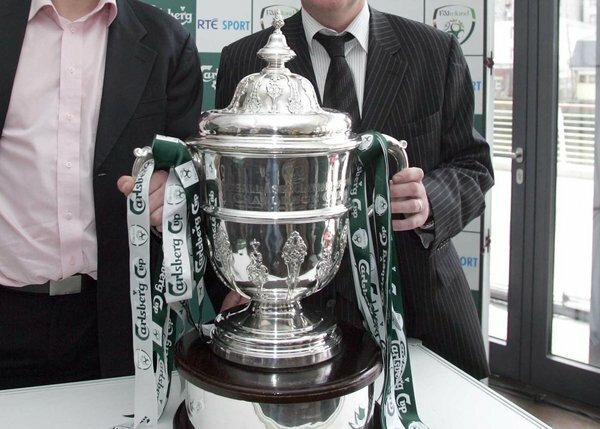 The glory of victory will also bring UEFA Cup and Setanta Sports Cup tickets to Inchicore next season. However, defeat will mean St. Pat’s get nothing. St. Pat’s are due a change in fortune. They haven’t won the cup since 1961, losing the last five finals they’ve played, and haven't beaten Derry since April 2003, 14 matches ago. St Pat’s Athletic (probable): Ryan; S. Quigley, Brennan, C. Foley, Frost; Murphy, Mulcahy, M. Foley, Rutherford; Keegan, Molloy.